Your list of things to see and do now includes DoDublin, Jameson Distillery Bow St., Merrion Square, and other attractions. The adventure continues: steep yourself in history at Kilmainham Gaol, take in the architecture and design of Trinity College Dublin, admire the landmark architecture of Saint Patrick's Cathedral, and get lost in a book at Marsh's Library. To find maps, photos, where to stay, and tourist information, use the Dublin trip planner . Brisbane, Australia to Dublin is an approximately 28-hour flight. You can also do a combination of flight and bus; or do a combination of flight and train. Traveling from Brisbane to Dublin, you'll gain 10 hours due to the time zone difference. Expect slightly colder weather when traveling from Brisbane in August: highs in Dublin hover around 22°C, while lows dip to 12°C. You will have some time to spend on the 27th (Thu) before leaving for Waterford. Ireland's oldest city, Waterford maintains its small-town charm and attracts a growing number of travelers with its rich history, lively nightlife, and thriving festival scene. Start off your visit on the 27th (Thu): admire the striking features of Bishop's Palace, then see the interesting displays at Waterford Treasures Medieval Museum, then examine the collection at King of the Vikings VR, and finally get into the urban bustle at Reginald's Tower. On the 28th (Fri), you'll have a packed day of sightseeing: get engrossed in the history at Irish National Heritage Park and then contemplate the long history of Tintern Abbey. For where to stay, other places to visit, maps, and more tourist information, go to the Waterford trip planner . Getting from Dublin to Waterford by car takes about 2 hours. Other options: take a train; or take a bus. In August, plan for daily highs up to 20°C, and evening lows to 15°C. Wrap up your sightseeing on the 29th (Sat) early enough to travel to Waterville. 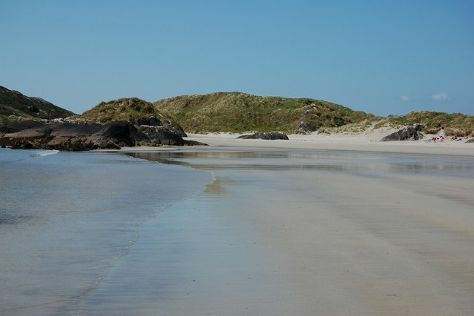 Explore Waterville's surroundings by going to Blueberry Hill Farm (in Sneem), Staigue Fort (in Castlecove) and Barleycove Beach (in Schull). Spend a day of island exploring on the 29th (Sat) at Skellig Michael. 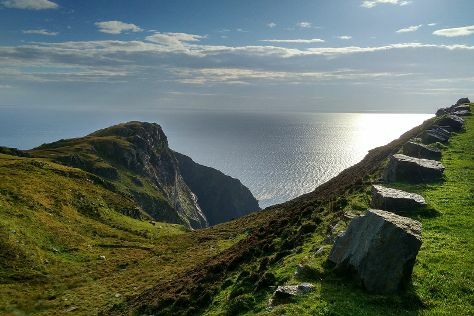 There's much more to do: kick back and relax at Derrynane Beach, step into the grandiose world of Ballycarbery Castle, appreciate the history behind Mick O'Dwyer Statue, and hike along Geokaun Mountain and Cliffs. To see traveler tips, photos, reviews, and more tourist information, go to the Waterville journey builder . Traveling by car from Waterford to Waterville takes 4 hours. In August in Waterville, expect temperatures between 20°C during the day and 14°C at night. Finish your sightseeing early on the 1st (Tue) so you can travel to Galway. On the 5th (Sat), make a trip to Quay Street, get outside with Wild Atlantic Way, and then appreciate the extensive heritage of Salthill Promenade. To see maps, more things to do, other places to visit, and tourist information, use the Galway tour builder website . Traveling by car from Waterville to Galway takes 4 hours. In September, daytime highs in Galway are 17°C, while nighttime lows are 10°C. Finish your sightseeing early on the 6th (Sun) so you can drive to Derry. Start off your visit on the 6th (Sun): steep yourself in history at Ulster American Folk Park, see the interesting displays at The Abingdon Collection, and then appreciate the extensive heritage of City Walls. Get ready for a full day of sightseeing on the next day: take an in-depth tour of Museum of Free Derry, then appreciate the history behind Bloody Sunday Memorial, then snap pictures at Peace bridge, and finally get outside with Ebrington Square. To find photos, traveler tips, reviews, and tourist information, refer to the Derry trip site . You can drive from Galway to Derry in 3.5 hours. Alternatively, you can take a bus. In September, daily temperatures in Derry can reach 19°C, while at night they dip to 13°C. On the 8th (Tue), you'll have the morning to explore before heading off to Belfast. Kick off your visit on the 8th (Tue): ponder the world of politics at Parliament Buildings, see the interesting displays at SS Nomadic, and then admire the natural beauty at Belfast Botanical Gardens. To find traveler tips, reviews, other places to visit, and tourist information, use the Belfast online journey planner . You can drive from Derry to Belfast in 1.5 hours. Other options are to take a bus; or take a train. In September, plan for daily highs up to 19°C, and evening lows to 13°C. You will have some time to spend on the 9th (Wed) before leaving for home.